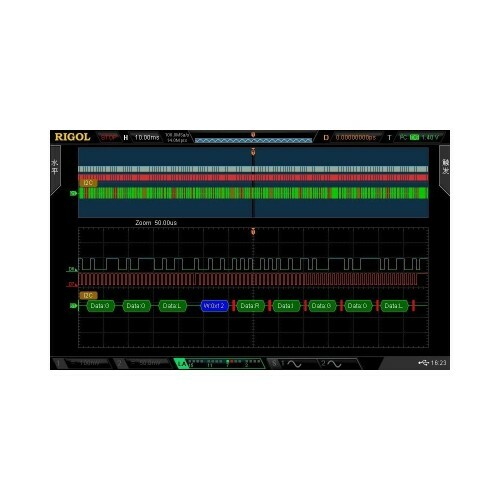 Rigol’s MSO2302A-S is a 300MHz 2-channel Digital Oscilloscope that includes a built-in 2 channel 25 MHz AWG signal generator in the same compact package. 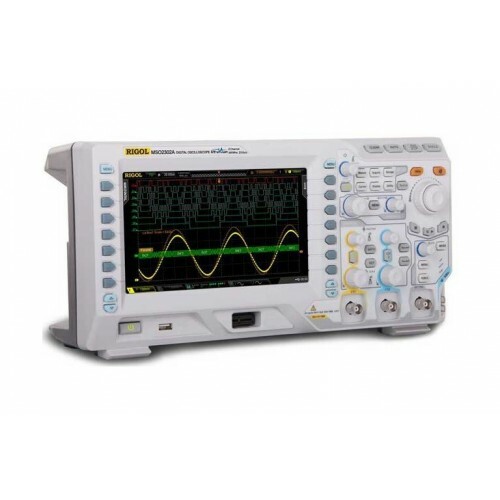 It offers the remarkable features of competitive high-end oscilloscopes, but at a much lower price point. 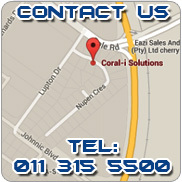 Its user-friendly, intuitive HMI interface on the large 8” WVGA display provides up to 256 levels of intensity grading. 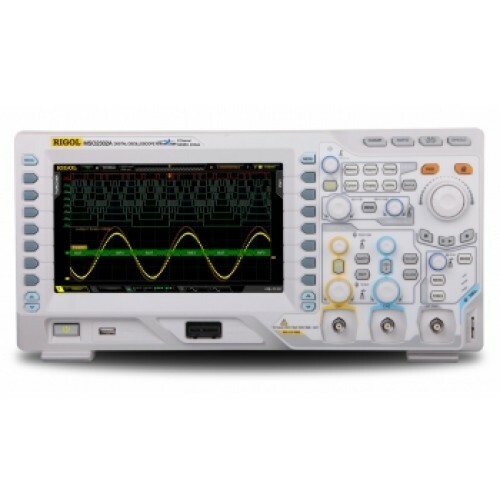 Here is a 300MHz scope that outperforms the competition for a wide range of bench-top application areas such as R&D, Test, and QC. 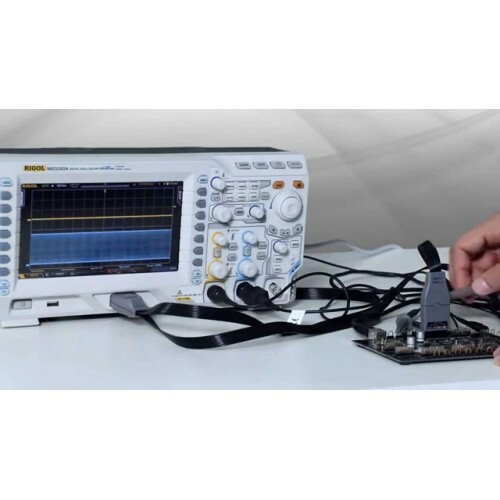 The MSO2302A-S has a vertical range of 500uV/div to 10V/div and an extremely low noise input block design to enable the capture of very small signals. The MSO2302A-S samples inputs at 2GSa/s (single channel) and it has a very large 14Megapoint memory depth. If you need more memory, additional storage is also optionally available. 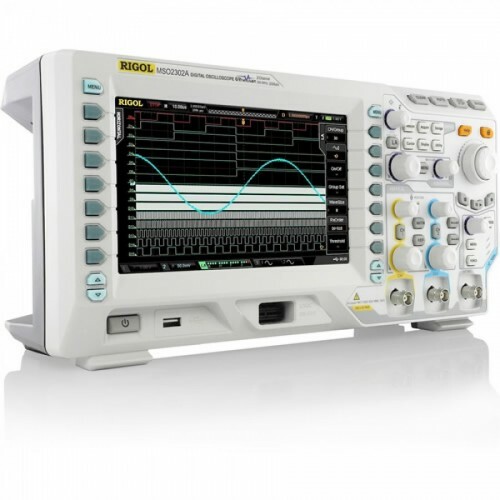 The MSO2302A-S offers digital capabilities for displaying analog and digital signals simultaneously. 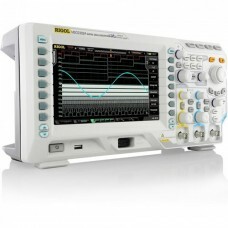 It also includes 16 data logic input channels which capture digital signals at 500Sa/s (or 8 digital channels at 1GSa/s). 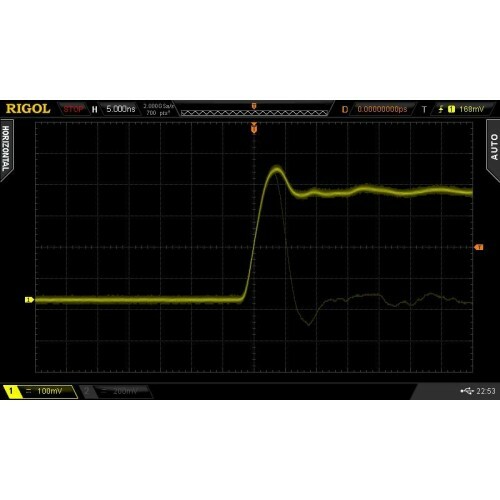 All oscilloscopes in the MSO2000A series feature Rigol's UltraVision technology with an excellent waveform update rate of 50,000 wfm/s. A variety of trigger and serial bus decoding functions (RS232,I2C,SPI,CAN) are also optionally available. 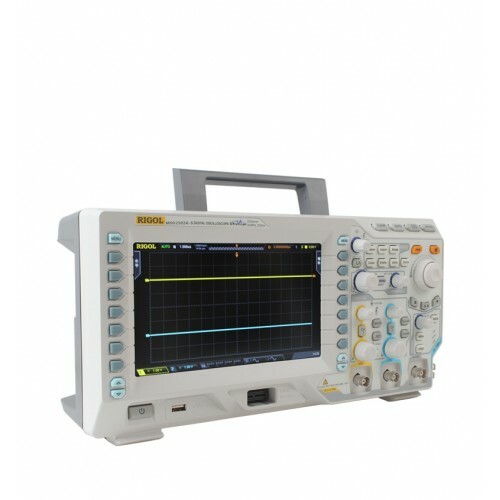 The MSO2302A-S is supplied with a pair of high quality RP3300A 350MHz passive probes and the 16-channel probe/clip set RPL2316. 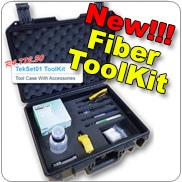 An optional rack-mount kit is available if needed.